What would have made Crown of Vengeance better? A real story line and less of a made up foriegn language! 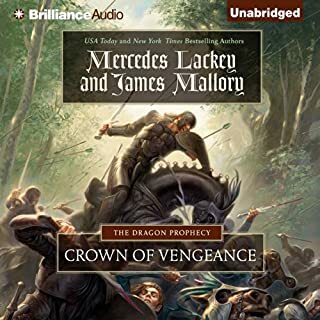 What was most disappointing about Mercedes Lackey and James Mallory ’s story? The names of the characters and prolonged, difficult to follow geography and political opponents made the story line VERY difficult to follow. What didn’t you like about Kate Rudd and Christopher Lane ’s performance? Chris was okay. Kate had a very difficult job, doing well with name pronouncements, but all the characters either sounded the same or were always angry/shouting in their narratives. What character would you cut from Crown of Vengeance? Not even sure- I'm not even sure who the characters were. Their names all sounded like the geography. It is not often that I run across a Lackey book that I don't like. I am suprised that I even finished listening to the book. The names of the characters and the geography were much too long, and much too complicated tongue twisters for me to stay focused on the story line or character development. I have to give it to the readers- they did the best they could with the material they had to read. I would steer away from this tome, and will not even pick up another book that might follow. The end left me wanting more. 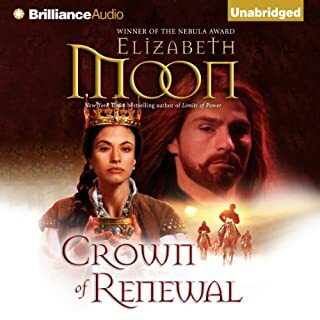 Would you listen to Crown of Renewal again? Why? Yes- easy listen and I am devoted to the characters. The way this episode wrapped up all of the loose threads made it a satisfying end. A story that leaves you wanting even more. 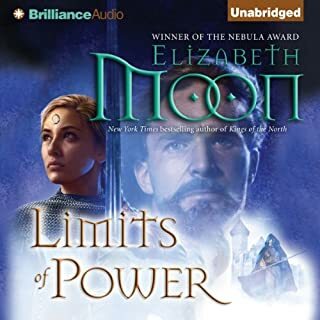 What made the experience of listening to Limits of Power the most enjoyable? The story line and characters. Continuity of the story line and characters. E. Moon always tells an enjoyable tale for me. I have thoroughly enjoyed this series, and have always liked E.Moon. This was the first audio book I have bought that was difficult for me to complete listening to the end. I had read a previous review that said "read the book", and I now know why. The story is great, but it was a very difficult listen. The voices kept changing, and not always the same voice with the same character. It got a little better toward the end. The pronunciation of some of the characters and places took me awhile to connect with the other 3 books. Lindsay Danner. Her worldwide reputation as an expert in ancient treasures and her knowledge of the international art market make her the perfect pawn in a deadly game. But she needs protection. Jacob MacArthur Catlin. A renegade ex-CIA agent whose name is still whispered in tones of hatred and admiration throughout Southeast Asia. Now it is his job to make sure Lindsay Danner succeeds . .and lives. Archaeology and James Bond Meet. 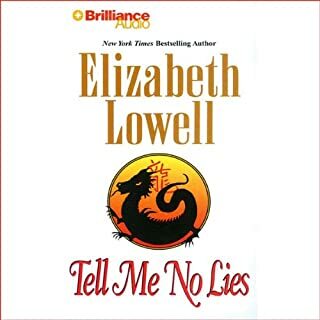 Would you consider the audio edition of Tell Me No Lies to be better than the print version? I have not read the printed version. Both the male and female protagonists. The ying and yang of their characters complimented each other perfectly. Even though this is a shorter 'read' than I usually endeavor, this book fascinated me with its description of how some archealogical artifacts could be dated and could be used as a political tool. The two main protagonists characters appear initially to be polars apart in their ethics and history, yet as the story progressed, the Eastern philosophical context of the ying and the yang being necessary to create and heal a whole fairly jumps out at the reader, without even having to think on it. The story line flows well, showing the intricasies of truth in dating artifacts as interwoven as the espionage of politcal jockeying. There is action aplenty and thought provocking twists and turns throughout. The reader was consistant in her portrayal of characters as well as interesting in her inflections. Even the 'boring' portions of the archaeological explainations was made easier to attend. Overall, this was a 'can't wait to get in the car and listen' kind of book.